Within the Oil and Gas and Chemical Industries, understanding the current state of the asset to confirm the condition are traditionally performed with Online and Offline Inspections. Typically there are standards on how to inspect the physical asset such as API 510 (Pressure Vessel Inspection), API 570 (Pipe Inspection), API 653 (Storage Tank Inspection), and other standards globally. These inspections produce data in the form of readings, checklist conditions, findings, and recommendations. Often, the inspection results will be provided with images and other specialized output like cathodic protection anode readings, hydrostatic output, or pressure tests of relief devices. Most of the inspection data results are managed on corporate file servers, within an Inspection Data Management System (IDMS) operated by a 3rd party inspection and maintenance contractor, or stored within a silo’d database from a commercially available software. 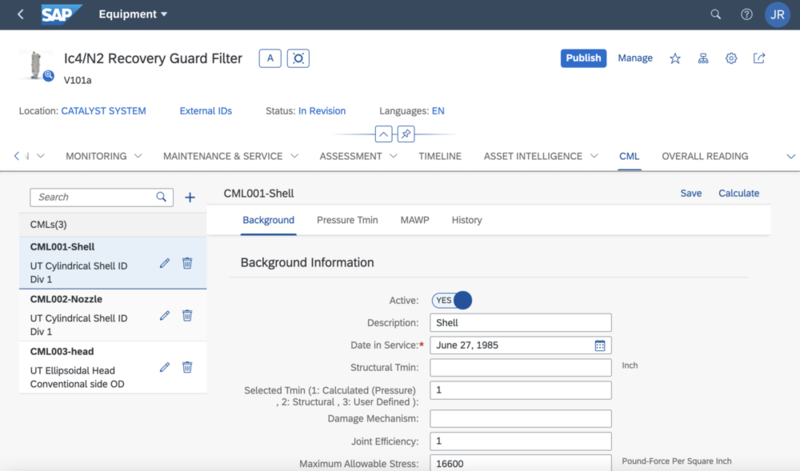 In all of these circumstances, critical equipment data, inspection results, and key recommendations are stored outside of the Enterprise Asset Management (EAM) solution and work management solution. This silo’d approach provides barriers to the inspection, maintenance, and reliability managers from connecting-the-dots to avoid failures. Perform the inspection data management and analysis as an embedded work process inside SAP. 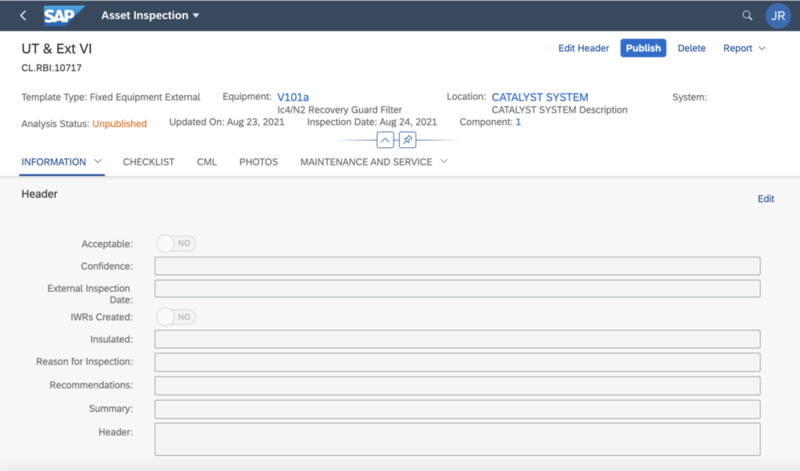 Eliminating the need for duplicating asset related data, storing condition data and assessment data in a centralized source for others to view, while connecting the inspection recommendations to the work management solution for triaging. Will be able to connect-the-dots of the critical data such as inspection recommendations. Reduce IT and labor costs of managing multiple, and often lapping, data sources. Provide a sustainable solution overtime. - Create traditional inspections, but can also be customized.